I’ve missed a few days of my series but I’m convinced I’m going to catch up, or at the very least – this amazingly creative and powerful poet who hails from the country of my father, will hopefully make up for a few missed posts. 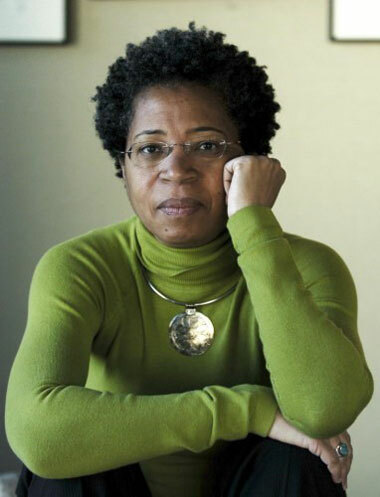 Dionne Brand is one of the most intense, lyrical poets living in our modern times. How lucky are we to be alive during the same time she is? Born in Trinidad & Tobago in 1953, and educated in Canada, she earned her first degree from the University of Toronto in 1975. Her writing shares her sense of urgency and dedication to exploring the intersection of race, culture and gender. She’s been awarded many prestigious honors including the Canadian Griffith Award, Fellow of the Academies for Arts, Humanities, and Sciences of Canada and Poet Laureate of Toronto. In the poem below, an excerpt from the 2010 novel-length poem Ossuaries, which is not quiet epic poem but not quite a novel either, the narrative follows Yasmine’s travels through Havana, and shows what it is to be seen and unseen, all the while collecting pieces of one’s life and simultaneously fleeing from the past. Take your sweet old time with this one. It’s worth the read.